Photon Max is the latest addition to best-selling Tata Photon family that redefines Internet surfing experience, with speeds of up to 6.2 Mbps. 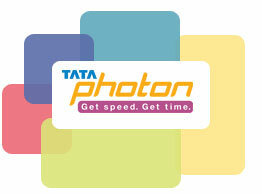 Tata Teleservices Limited, India’s fastest-growing pan-India telecom service provider, today unveiled the latest addition to its best-selling Photon family of high-speed mobile broadband products on the CDMA platform, announcing the launch of Tata Photon Max. Forthcoming launch marks the entry of the Next-Gen Rev.B platform in India. Tata Teleservices Rev.B becomes the fastest CDMA network in the country. Dedicated data carrier to provide Photon Max users a consistent and unmatched experience. A Next-Gen product, Tata Photon Max marks the entry of the CDMA 1000 Rev.B solution into India. The Rev. B solution will enable TTL to improve capacities, throughput and latency on its existing network, translating into blazing and consistent speeds for all Internet needs of its consumers, right from – emailing, social networking, sharing of photographs, downloading and uploading heavy files, music downloads, video streaming and watching live TV on-the-go. With this launch, Tata Teleservices Limited’s Rev.B network will be the fastest CDMA network in the country, providing users with speeds of up to 6.2 Mbps. The launch of Tata Photon Max is an important step in providing customers with better speeds for mobile broadband access, thereby enabling them to experience super-fast speeds on their laptops, PCs and other devices. Today’s increasing demand for more powerful and faster networks continues to inspires Tata Photon to continually upgrade their network and service offerings and maintain their technological strength. Tata Photon Max underlines the superiority of mobile broadband technology, and is set to become a rage amongst Internet-users everywhere. The Tata Photon product portfolio has maintained its leadership position in the market with exciting customer propositions, customer-friendly tariff options and an exclusive customer care wing for data services. A dedicated data carrier will ensure that Tata Photon Max customers have an unparalleled user experience. It will also enhance TTL’s carrying capacity to deal with the explosion of data services, as also provide a stable and reliable high-speed mobile broadband experiences, for our subscribers.